As specialists in takeovers, Solanna stepped in after several owners and GC's had abandoned this Balboa Peninsula project. It is now being transformed into a modern waterfront family and entertainment home accented with bold ocean-themed custom mosaics throughout. 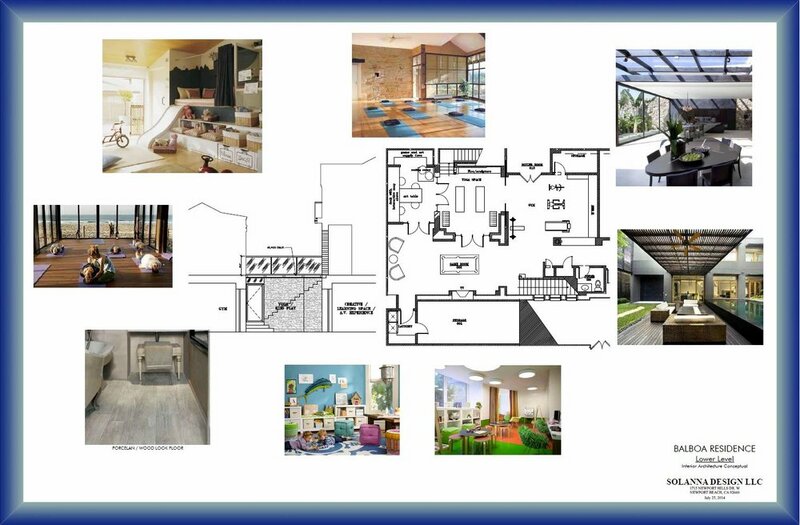 The home will feature a full spa including hot and cold plunge pools, sauna, Himalayan salt caves, yoga room, a gym with a climbing wall and a custom motorized depth pool that can transform into a full outdoor deck and much more…. Visit our Gallery for the latest progress photos!